Puerto Rico is one of the jurisdictions with the most restrictive and comprehensive legislation in tobacco control use and protection of secondhand smoke exposure in the United States. During the past twenty years, there have been many efforts to reduce tobacco consumption in Puerto Rico, but the most important achievement is the approval of the Act No. 66 in 2006. This Act amended the Act No. 40 of the August 3, 1993 (Act to regulate smoking in certain public and private places). 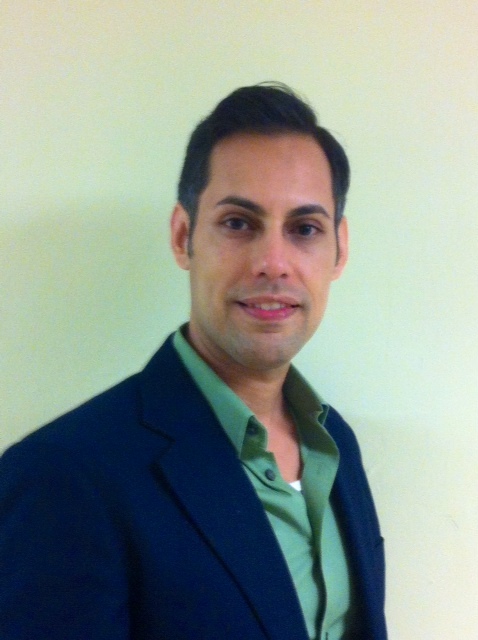 With the implementation of this Act in 2007, Puerto Rico finally became a smoke-free island. 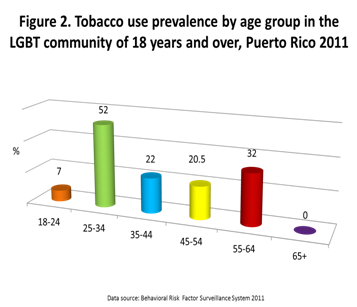 For 2011, according with the Puerto Rico Behavioral Risk Surveillance System (PRBRFSS), the tobacco use prevalence remains lower in Puerto Rico (14.8%) than in the United States (21.1%). Despite the above, seven of the twelve leading causes of death in the Island are associated with smoking (heart disease, malignant tumors, Alzheimer, cerebrovascular disease, chronic pulmonary disease, nephritis, and hypertension). 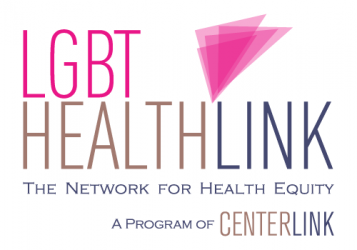 The 1.6% (44,851) of the population of 18 years and over in Puerto Rico reported being part of the LGBT community. 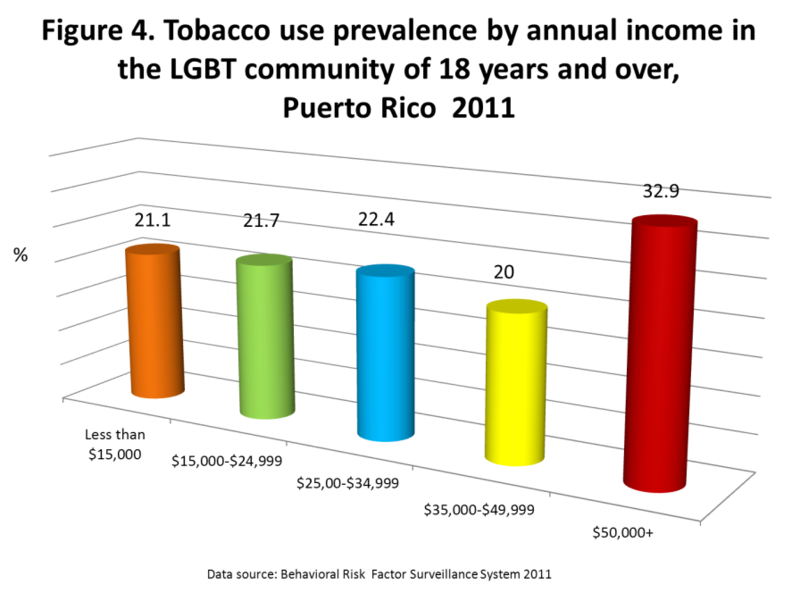 In this group, 20.8% reported being smokers, this prevalence is higher than the general population prevalence (Figure 1). In terms of age, the group with the highest prevalence of tobacco use was the group of 25-34 years (52.0%), followed by the group of 55 to 64 years (32.0%) and the group of 35-44 years (22.0%) (Figure 2). When analyzing the data by educational level, the group with the highest prevalence was the people with some college or technical school (23.9%), followed by graduates from college or technical school (19.5%) and the group that did not complete high school (19.1%) (Figure 3). 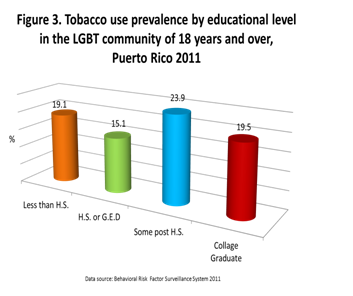 In relation of annual income, people in the Puerto Rico LGBT community who earned $50,000 or more (32.9%) reported higher prevalence of tobacco use, followed by those who earned between $25,000 – $34.999 (22.4%) and $15,000 to $24.999 (21.7%) (Figure 4). In terms of employment status, the groups with the highest prevalence were the unemployed for over a year (45.5%), followed by those who are self-employed (42.9%) and the homemakers (29.5%) (Figure 5). 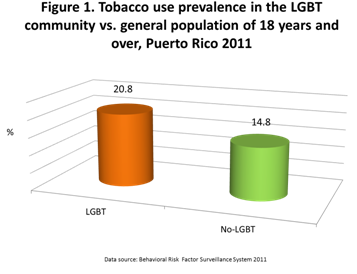 Recognizing the characteristics of the LGBT community in terms of tobacco use, the Puerto Rico Tobacco Control Program is developing an educational campaign aimed at this community with emphasis on those groups with higher prevalence of tobacco use.